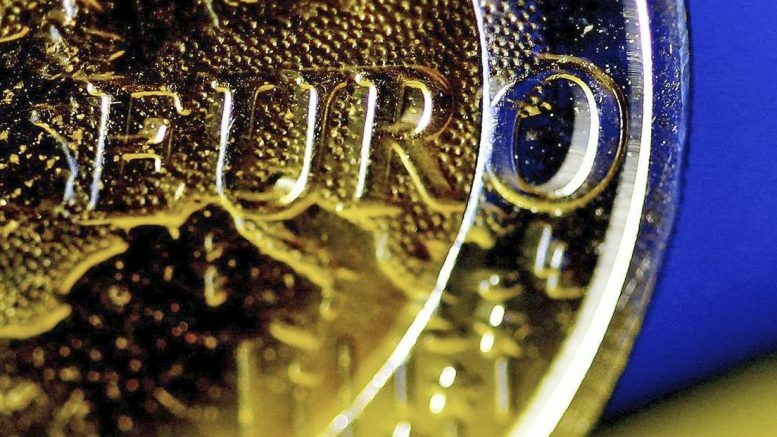 The Eurozone is showing positive signs of growth and inflation. But the risk premium levels of the peripheral countries are still very high compared with those at the start of this year. Experts put this down to political risk, but they believe the differentials will tend to decline in the medium-term. In the short-term, any bit of news on the French elections, like Macron’s victory over Le Pen in the first televised debate, will push bond yields up or down. Spain’s risk premium was 107 basis points in mid-January and now it’s around 140. Italy’s is still above 200 basis points and Portugal’s is at 350. Today all these countries have seen their debt yields fall with respect to the German bond thanks to the expectations that the next French president will not be ultra right-wing candidate Marine Le Pen. Analysts predict the risk premiums of the peripherals will remain high in the coming months. This is due, in the first place, to the political risk: there are elections in France and Germany, but there are also increasing doubts over Italy, which affect both the solution to the banking sector’s problems as well as the country’s political stability. The other important effect on the debt market will be the ECB’s decision. Everything points to the fact that the withdrawal of stimulus will be gradual and a possible rise in the deposit facility rate from -0.40% to -0.25% is not expected until year-end. So the normalisation of the debt differentials will be a slow process, in line with upward moves in interest rates. A rise in rates in the Eurozone in 2018 cannot be ruled out, as long as inflation and economic growth maintain their current positive trend and there are no unpleasant surprises on the political front. And in fact the strong rise in banking stocks in the last few trading sessions can be put down to expectations for a near-term change in interest rates. Spanish banks would be amongst those to benefit most due to their high level of variable loans. Some research reports highlight that they could make up to 15% more with a rate hike of just 0.25 percentage points.